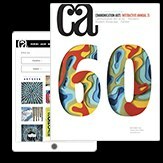 Bright colors and flowing dot animations visually introduce Illo’s tech-division to the rest of the internet world. Background: Algo (from “algorithm”) is the tech-division of our design and animation studio, Illo. 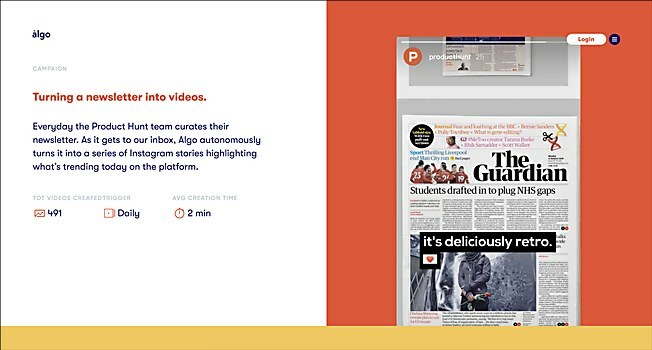 The algo.tv website explains how our video automation platform works and how a data driven approach can enhance video marketing campaigns. 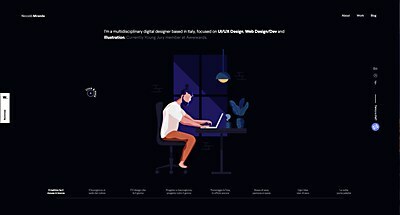 We wanted it to look like a mixture of a product website and a portfolio since Algo is in-between a service and a studio. We produced a tailored data-driven campaign, relying on one cloud platform that can produce content at scale. Highlights: The site design relies on three main features. The first feature is the colors; coral red has always been Algo’s main brand color and we thought about matching it with slight variations of primary colors—with some white and light grey—to have a visually bold result. 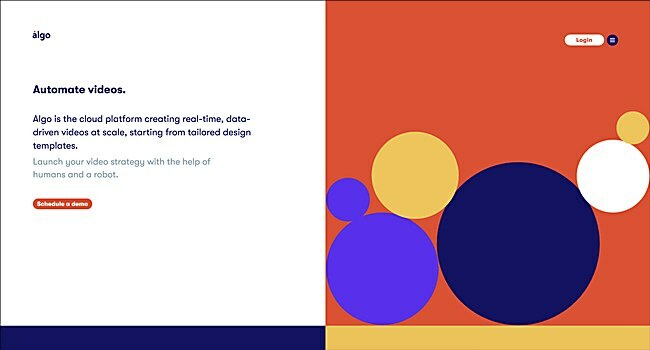 The second feature is the dots animation; it helps to communicate the scalability of the project, how the data pulling works and is a recognizable brand identity element. The last design feature is flexibility; Algo projects are always different, so we needed to have absolute freedom in order to present them. Challenges: The website has been key to spread the word about our new and past case studies, the most crucial assets to find new potential clients. We sought clarity and focus in order to explain each one of our projects, but we also wanted to transmit the fact that our studio is creating visually outstanding videos and data visualizations. So, we looked for some boldness. The look and feel of the website also had to reflect our design and work method. 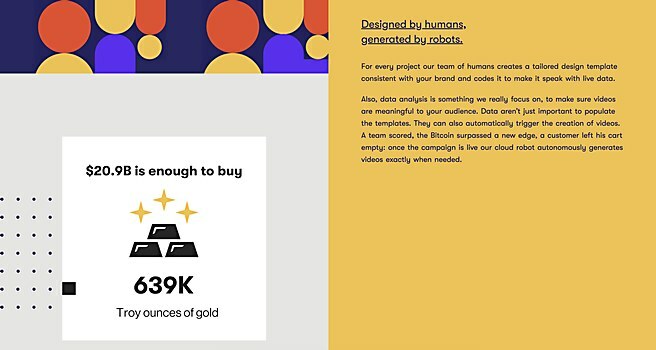 Favorite details: We didn’t expect that having a unique design would lead us to such a great reach; users were intrigued by our online presence and they were interested in tailored, data-driven, automated campaigns. So, we are proud of choosing to be colorful and bold, instead of going with the safe and secure Apple style that influenced most of the web design for digital companies for the last five years. Technical features: The launch of the new Algo website was part of a major refinement of our rendering platform and data-visualization techniques. We started improving our back-end infrastructure, developed a dashboard for our clients and then focused on our new brand identity and web presence. We also avoided using a CMS and went for a tailored html instead. 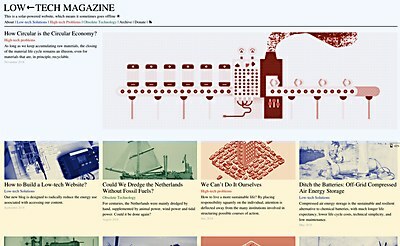 The solar-powered site of technology publication Low-Tech Magazine makes a statement about internet sustainability. 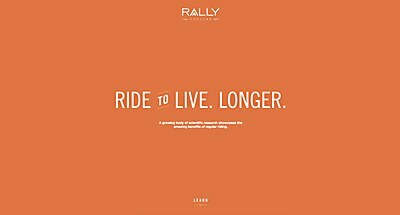 Rally Cycling’s minisite shares how a bike ride has the simple capability of improving our everyday lives. Playful illustrations represent the daily life of this multidisciplinary digital designer.